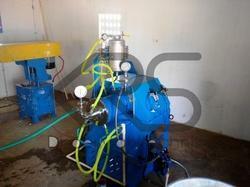 We are engaged in offering a huge range of Continous Vertical Sand Mill. These are fabricated by our team of experts using high grade material. 7 Ltr / 12 Litre Sand Mill FLP. Motor 7.5 HP. 1440 RPM. Hindustan Make. FLP. S.S. 316 Shell Plate 8 mm. & Bottom Plate 12 mm. M.S. Cooling Jacket Plate 6 mm. MIKRONS® Bead and agitator sand mills are widely used in Paint, ink & coating industries for size reduction and dispersing of pigments in liquids. Particle size reduction upto 2 microns are possible in a single pass. 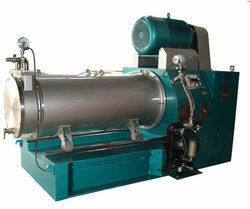 Sand Mills Designed & developed by has brought about revolution in microgrinding and microdispersion technology. Gone Are the days of using nonpressurized, vertical Sand Mills which take hours of time, great amount of manual work and high power consumption to achieve a desired finish or dispersion quality.